If you’ve been living in Perth for a while, you might have started to explore some of our spectacular state. I must say after living here for over 5 years, we haven’t seen half as much as I would have hoped by now! We’ve done the usual spots like Busselton, Dunsborough, Margaret River, and headed further afield to Denmark and Albany (which was just spectacular). We’ve also done some shorter day trips from Perth, exploring the Pinnacles, Cervantes, Toodyay and New Norcia. But while we usually tend to explore the rugged coastline of WA, we’ve neglected some of the towns inland. Until now! 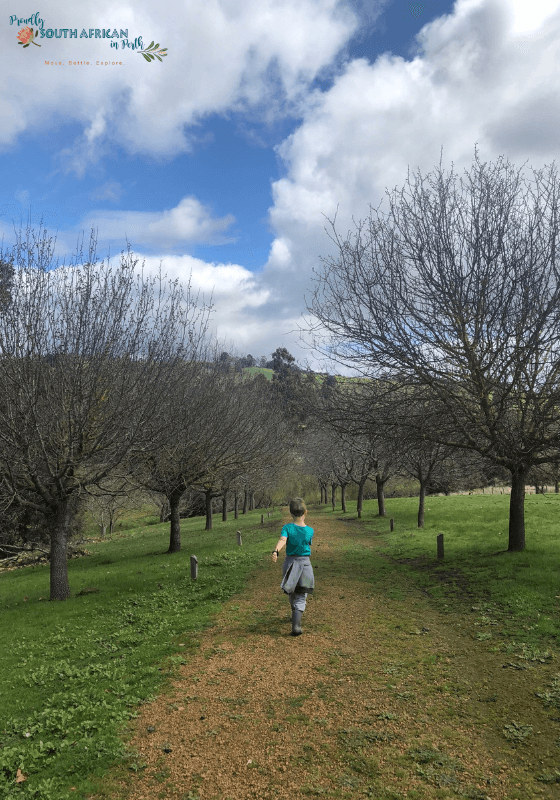 We recently spent a long weekend in Balingup, which is a bit inland from Busselton. Our accommodation for our stay was Tegwan’s Nest, a gorgeous farmhouse which has only recently been converted into self-catering holiday accommodation. Owned by Stuart and Bernadine, originally from Zimbabwe, the house is set on a steep hill and the views looking over the valley below are just breathtaking. 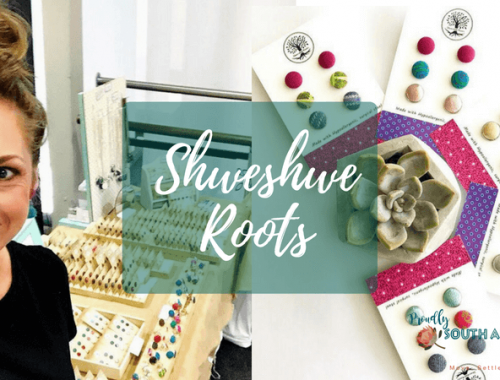 The unusual name is inspired by Stuart’s childhood holidays at a working farm in Greylingstad, around 2 hours outside of Johannesburg. 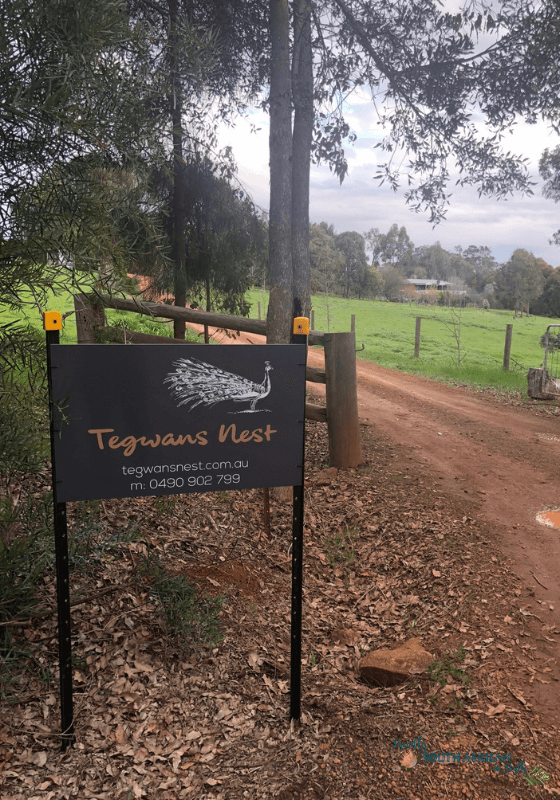 That farm was called Tegwan’s Nest, and when creating their own farmhouse accommodation here in WA, Stuart thought it would be a fitting name and experience to recreate here in Australia. 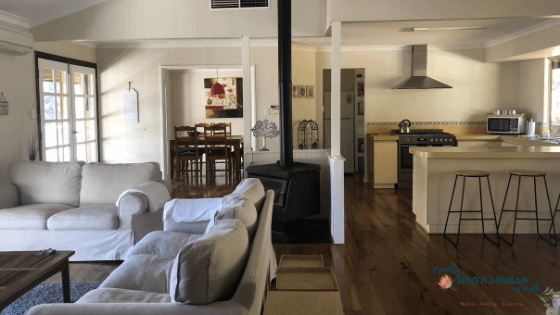 The house has 4 bedrooms and a huge central living area comprising a kitchen, airy lounge with a massive log burner and a separate dining room. One end of the house has the master bedroom, ensuite and walk in robe (that’s actually the size of a decent bedroom!). The other end of the house contains 3 further bedrooms, one with a double bed, another twin room and a final bedroom with bunk beds – perfect for the kids, plus a bathroom, toilet and laundry area. 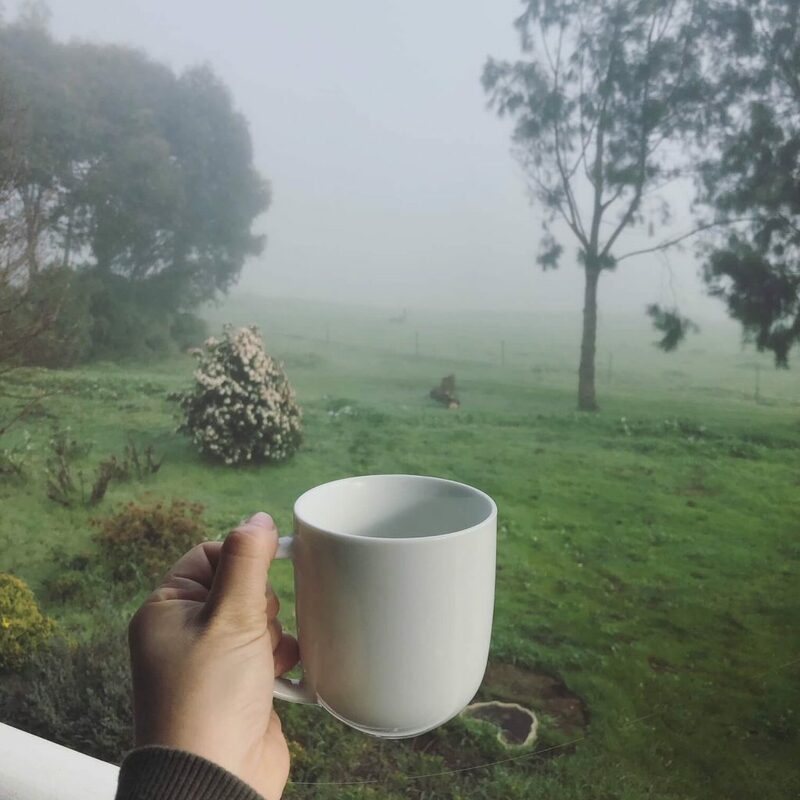 The house has a huge verandah out the back, with views over the green fields below. The front of the house also has a verandah, which is perfect for some morning sunshine and your first coffee of the day. The drive took around 3 hours from central Perth on a Friday afternoon and we arrived in the early evening during a cool winter weekend. It was pretty chilly but once we got the fire going, we defrosted (helped by the heating unit as well!) and settled in for our stay. After a good night’s sleep (only mildly disturbed by the large sounding possum in the roof at 2 am! ), we had breakfast and set out to explore our surroundings. 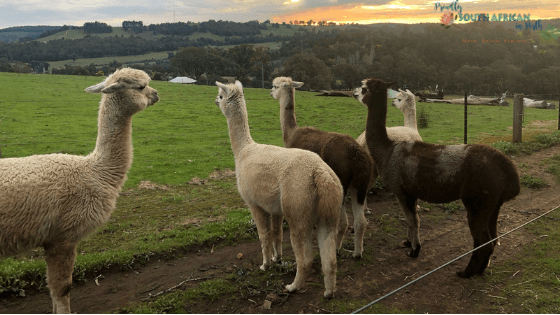 Tegwan’s Nest has some resident alpacas, which provide for hours of entertainment just watching them in the paddock – because you know, who doesn’t love an alpaca? 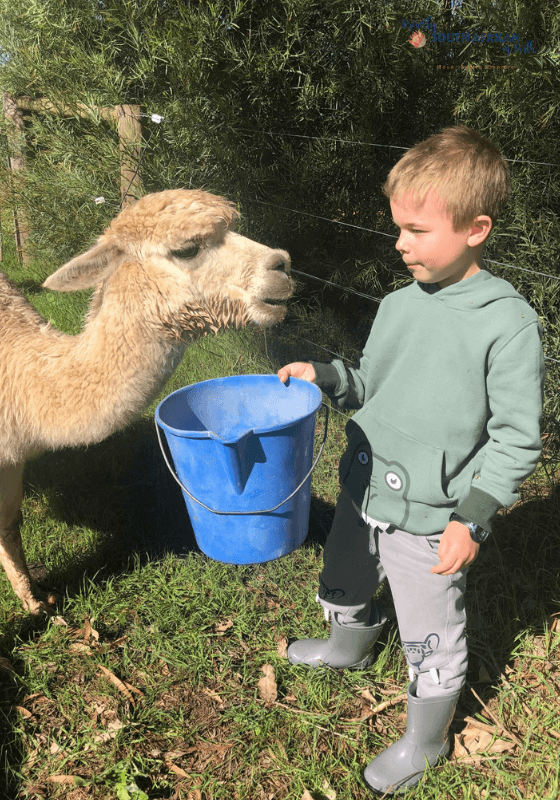 There are 5 alpacas and we were allowed to help feed them on our first morning which Mr 8 loved (even though Bob spat at him and covered his face and hair in alpaca muesli!). There are a number of fruit trees on the property (which guests are welcome to help themselves to during their stay), and Stuart and Bernadine are working hard on bringing the huge veggie patch and grapevines back to life. The town of Balingup itself is so cute. It’s almost a ‘blink and you’ll miss it’ town but it’s got several lovely cafes, a fruit winery where you can taste their fruit liqueurs, a friendly tourist centre and a quirky shop selling all sorts of essential oils, skin care, incense and holistic wares, Tinderbox. We visited the weekend after their annual Medieval Festival so there were huge medieval figures all around the town, which made for a fun kind of treasure hunt. 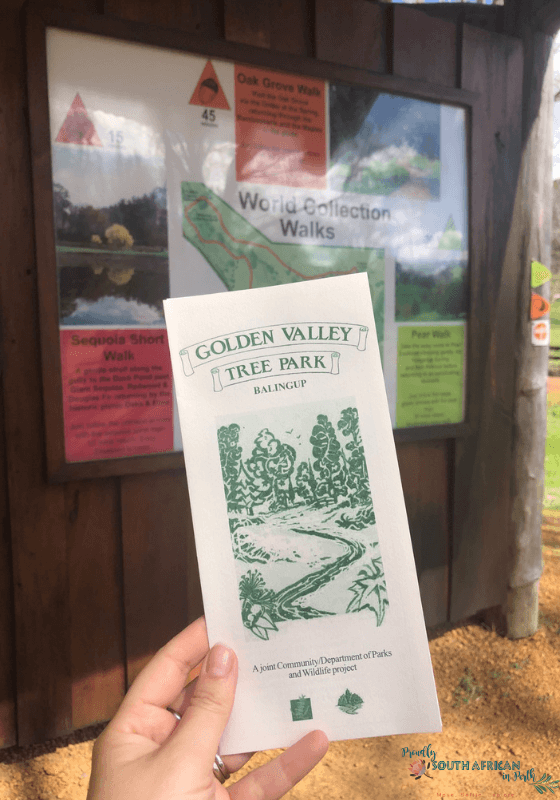 Just outside Balingup, you’ll find the Golden Valley Tree Park. Now, you might be thinking how interesting could a tree park be? We had the best time here, even me, the least green-fingered person on the planet. The Golden Valley Tree Park is the largest arboretum in WA, set in 60 acres of the countryside surrounding Balingup. It’s heritage listed and has over 1000 species of trees, some of which are over 100 years old. There are 2 different collections, the Australian collection, and the World Collection. Each collection has 3 different trails of varying lengths and difficulties, the longest being 45 minutes and the shortest 10-15 minutes. We picked the world collection and the longest route, the Oak Grove Walk, which was a 45-minute walk according to the board. It took us over an hour to wander through the trees as it was just magical seeing so many different kinds of trees in one space. 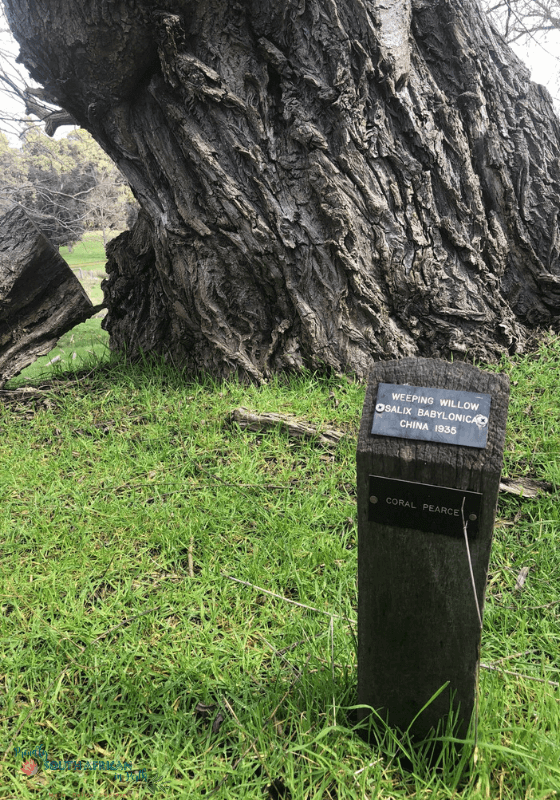 Each tree has a plaque on the ground which tells you what it is, where in the world it’s from and when it was planted. There were trees from Japan, England, America and beyond. The oak trees were so majestic and I can imagine in spring and autumn it would be simply magical. There are also lots of sheep to see, and muddy puddles to jump in, which the kids will love – so bring a change of clothes and a towel, plus your wellies. 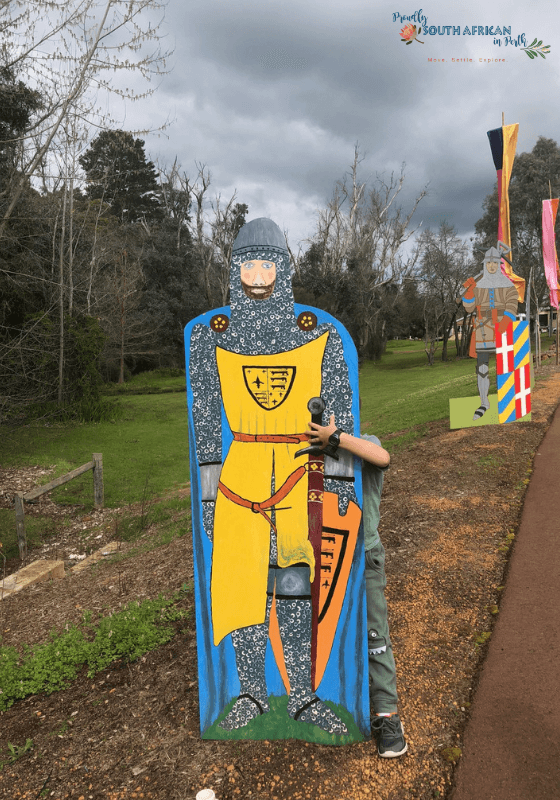 Further afield from Balingup there are several towns worth visiting – you’ve got Donnybrook, Greenbushes, Bridgetown and Nannup all within around 30-45 minutes’ drive from Tegwan’s Nest. 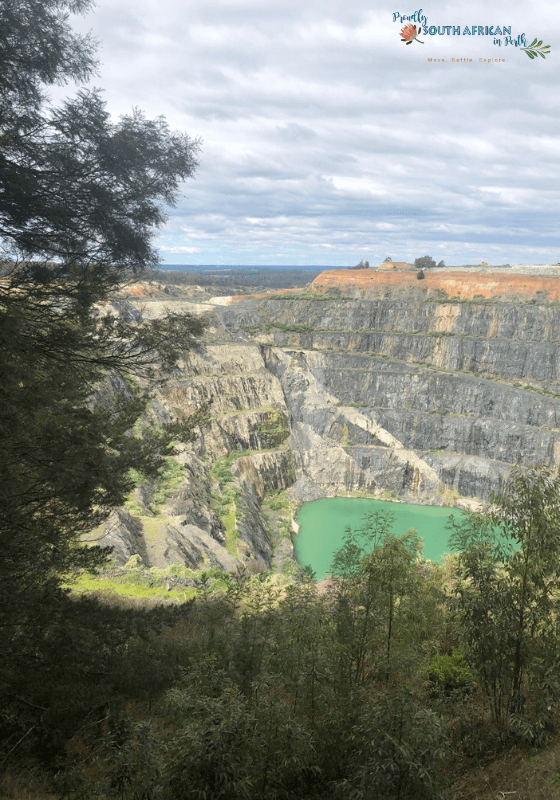 We stopped at Greenbushes to the see the massive mining pit which is accessed via a public viewpoint at the Talison Lithium Public Mine Lookout. We spent an afternoon in Bridgetown sampling local ciders at The Cidery and had a spot of lunch here too. Just a word of warning, the scrumpy WILL put hairs on your chest! On the way home, we decided to stop in at Gnomesville, which has been on my WA bucket list ever since I first heard about it. It’s a bit of a detour from the main roads but totally worth it for the weird-factor. 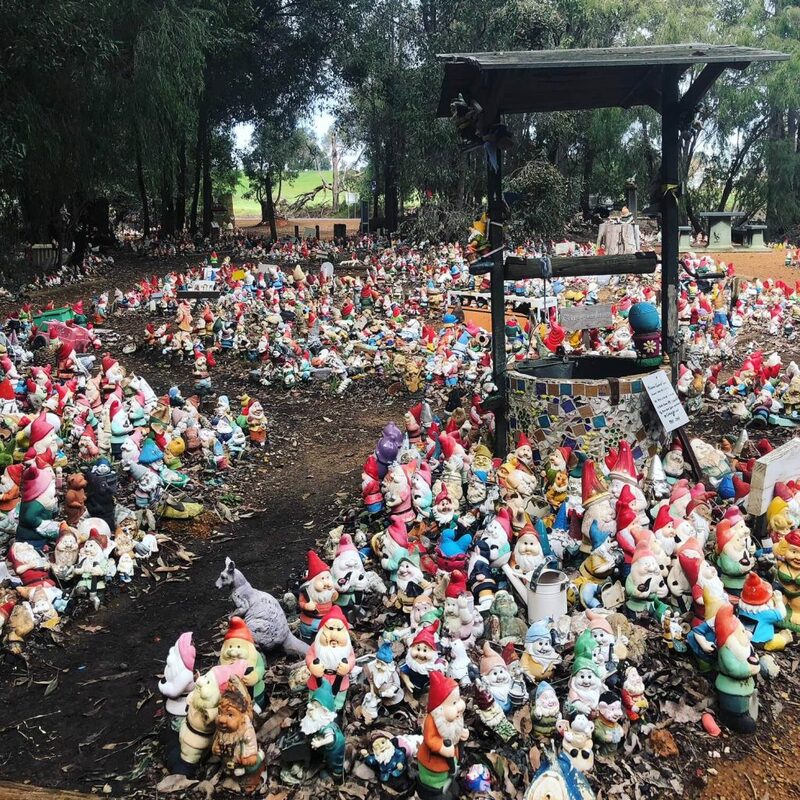 There are literally thousands of gnomes (and a few other weird garden ornaments) just off the side of the road. They’re in groups, solo, some in trees, some in houses, some in buses, some playing chess, some playing soccer, and watch out for the naked ones too! I even saw several South African gnome areas! The idea is to take a gnome when you go and the collection is ever-expanding. Totally worth the detour and the scenery is just beautiful. 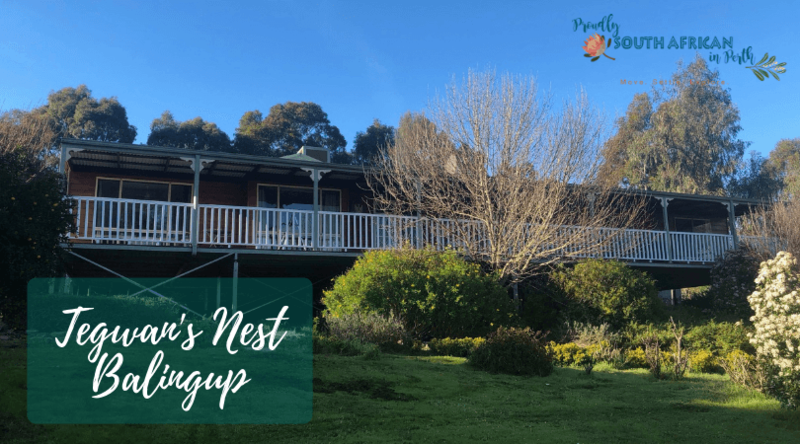 I absolutely loved our long weekend in Balingup and our stay at Tegwan’s Nest. The house was absolutely spotless, which is no mean feat in the often-dusty countryside. There are so many thoughtful extras in the house too. A selection of board games and puzzles – the Greece puzzle defeated me and the Trivial Pursuit was an old Australian version so we all sucked at that but it was fun to try and guess the answers. There is also a big box of old school Lego too, which is great for kids and grown-ups alike. Outside on the back verandah you’ll find a dart board and a telescope for star gazing. As there is no free-to-air TV or Wi-Fi at the house (shock horror! ), Stuart and Bernadine have a huge selection of DVDs for guest to watch. Even though we are total movie-fiends, we did find a couple we hadn’t seen before so had a couple of family movie nights in front of the roaring fire. The kitchen has absolutely everything you could need – I’ve never stayed somewhere where everything I looked for was there. They also include teas and coffee, including a pod coffee machine with a good selection of coffees and teas. 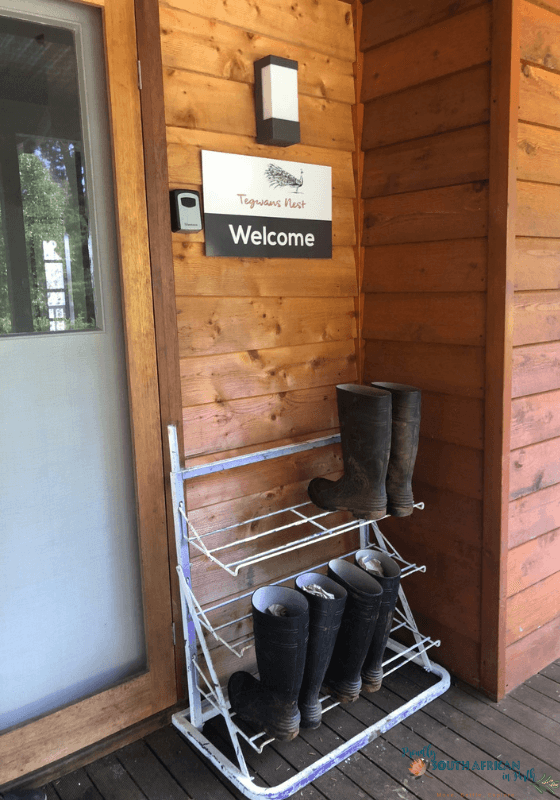 At the front door, you’ll find enough chopped wood to last your stay (if you’re there during the cooler months) plus a selection of wellies in case you forgot yours. Stuart and Bernadine have come up with some fun treasure hunts for the little ones around the property as well, which is a good way to get your kids out and exploring the property. They even have different difficulty levels to make them age appropriate. They are looking at getting some longhorn cows soon though so just make sure you can go treasure-hunting in the paddocks if they’re there – the alpacas are totally fine with you walking around their fields on the other hand. 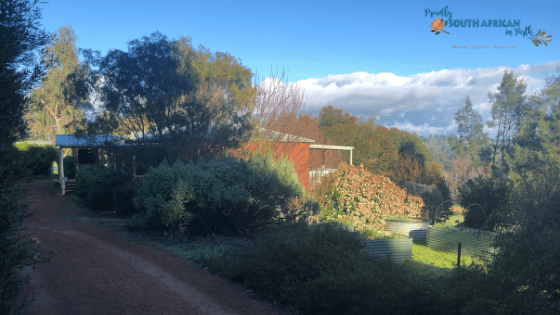 Tegwan’s Nest is perfect for a quick getaway from Perth and ideal for families wanting to show off our beautiful state to family and friends visiting from overseas or interstate. They’ve only been operating since January this year and already they are getting repeat visitors, so they are clearly doing something right! 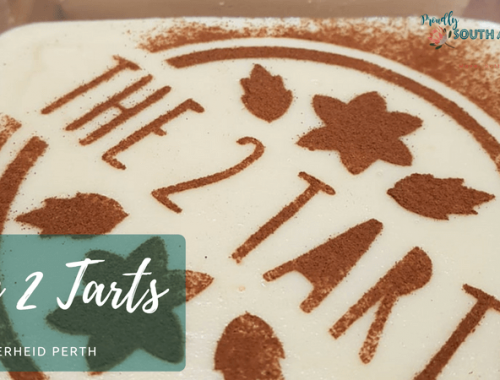 I know that if we have family come to stay this would be a great base for a trip with them out of Perth. It’s less than an hour from Bunbury and Busselton too so you could have the best of both worlds staying here – a bit of beach and a bit of country. Find out more about Tegwan’s Nest on their website, Facebook page or Instagram account. Disclosure: A big thank you to Stuart and Bernadine for hosting part of our stay at Tegwan’s Nest!